The basic professional principle and ethos at Marion Podiatry is about the provision of best clinical care for everyone who attends our rooms. Being such a long established practice, a very pleasant part of this, is that we get to know our patients and families – in some instances, this is now across four generations. 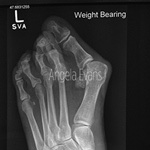 Ingrowing toenails are a common complaint, especially in adolescence. Pain along the nail border may also involve swelling and inflammation of adjacent tissues. If this is an ongoing problem, minor surgical intervention may be necessary for a permanent solution. At Marion Podiatry, minor nail surgery is performed with local anaesthesia, and minimal discomfort. 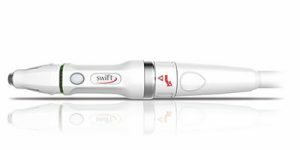 The list of skin and nail conditions that presents is long and varied: corns, calluses, warts (verrucae), fissures, tinea, dermatitis, injury, wounds, ingrown nails, thick nails, fungal nails, deformed nails, other painful areas. Taking individual health factors into account, treatment will often provide immediate relief. Regular care is available for those who cannot self-care, or whose medical status directs this need. Liaison with GPs is maintained and efficient. Foot orthoses may be required to resolve foot, ankle, and gait related problems and injuries. At Marion Podiatry we prescribe a range of orthotics – from a simple padded insole to a 3D imaged device. A comprehensive examination, including a biomechanical assessment, gait analysis, review of usual footwear, is part of determining each person’s needs. Children’s feet and legs develop and change with age as a normal part of growth. There is an expected range of normal development against which all paediatric examinations are assessed, against a background of family history and individual development. Children’s footwear will influence their stance and gait patterns. Sporting participation has special considerations at different ages. Children with special needs may have a range of foot health concerns. NDIS administration is available for children cared for within this framework. 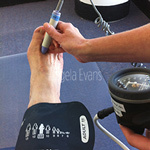 Annual diabetes reviews will assess blood flow, nerve function, foot structure and loading patterns, footwear, foot care. Practical factors ie poor vision, inability to reach the feet, are assessed within each assessment, and reported the other professional members of your health care team. We encourage and are interested in all levels and modes of sport and exercise that contribute to physical health and fitness. Efficient injury management is structured to enhance prompt return to sport and activity. Strong and flexible feet are essential for all levels of sport and exercise. Sport, activity and exercise are vital components of health, function and enjoyment. 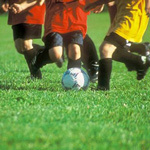 Children are susceptible to particular growth related sports injuries. Athletes are managed with a holistic ‘sports medicine’ approach. Modified sports and activity are encouraged in the instance of health challenges or previous injuries. Marion Podiatry is a donor to Walk for Life – the national clubfoot aid project in Bangladesh, supported by the Glencoe Foundation. The total cost of treatment for a child to receive FREE treatment for correction of their clubfoot deformity is $120. Marion Podiatry donates this cost every month, and is proud to enable 12 children to walk every year. Please see www.walkforlifeclubfoot.org for more information about Walk for Life, or contact Angela Evans at Marion Podiatry (who is the Australian goodwill ambassador, and happy to share the Walk for life story with your school, club, organisation). This is a project that we can all participate in so easily and with demonstrable benefit.